Pisco Fuego, with chef Ian Ballantyne, is back for 2014 with a night at Cocobananas off Battersea Bridge Road, featuring a Latin American tasting menu for just £25 (drinks extra) on Thursday 5th June. Get your samba on! "Back from last year due to popular demand, Pisco Fuego relaunches for a busy summer on 5th June at Cocobananas. A pop up drinking and dining experience with a latin twist; for only £25 you will enjoy an extensive food menu amidst free flowing zesty cocktails and colourful latin ambience. Ven y disfruta!! Having been witness to some of London’s most innovative dining experiences (Gingerline, Art of Dining, Future Cinema etc.) as well as being motivated by the world’s cutting edge restaurants Cult’s Directors are keen to get the right pairing between food, drink & an ‘experience’. They are kicking off the Summer with Pisco Fuego with a clear focus on a whole rounded latin dining experience. Inspired by the nightlife of Buenos Aries, Santiago and Lima, Cult Events presents Pisco Fuego @ Coco Bananas, a pop up drinking and dining experience that brings authentic Latin American zing, zest and charcoal grilled goodness to the streets of London. We’ve created an immersive experience that mixes classic asado barbecue cookery with sharp modern mixology and live music, all served in a beautifully set-designed venue. Think spit roasted pork, salsa verde, pisco sours and acoustic guitars around an open fire. (Microwaved burritos and Ricky Martin's greatest hits are strictly off the menu). As a company, we bring years of experience in gastronomy, mixology and bespoke event design to this project, as well as an abiding passion for Latin American culture. Most of our team have travelled widely in the region, and our aim from the outset was to create an event that would live up to our own memories of nights out there, stocked with colour, flavour and keep-the-band-playing-till-dawn energy. 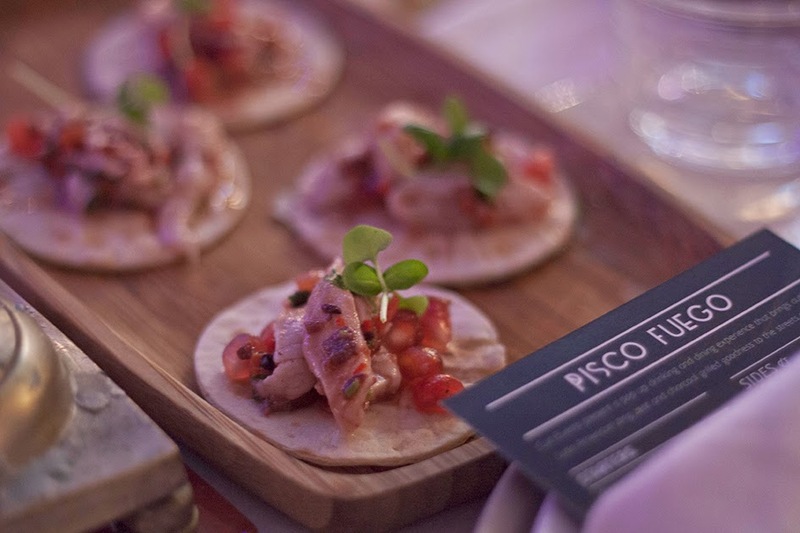 With Latin American drinking and dining now a major growth sector in the capital, and with ever-more-adventurous Londoners keen for an authentic taste of the region, Pisco Fuego is the destination London has been waiting for. There are two sittings for diners at 7.30 pm and 9.30 pm but doors opens from 6.30 pm to enjoy a pre dinner cocktail. The £25* ticket includes a tasting menu designed by Cult Event´s Head Chef Ian Ballantyne (@Ballantyne_ian). So come down and enjoy the flavours of Latin America from acoustic guitars to asado style cookery and zesty cocktails!"